With great pleasure, Atlassian presents the all-inclusive yet self-sufficient Crucible 2.4. Read the release notices for important information about this release. Crucible now includes a brand new version of the Application Links plugin. You can use this plugin to easily link your Crucible instance to other applications, like a JIRA server or another Crucible instance. You can choose between the Trusted Applications protocol, OAuth or basic HTTP authentication. Linking two applications allows you to share information and access one application's functions from within the other. 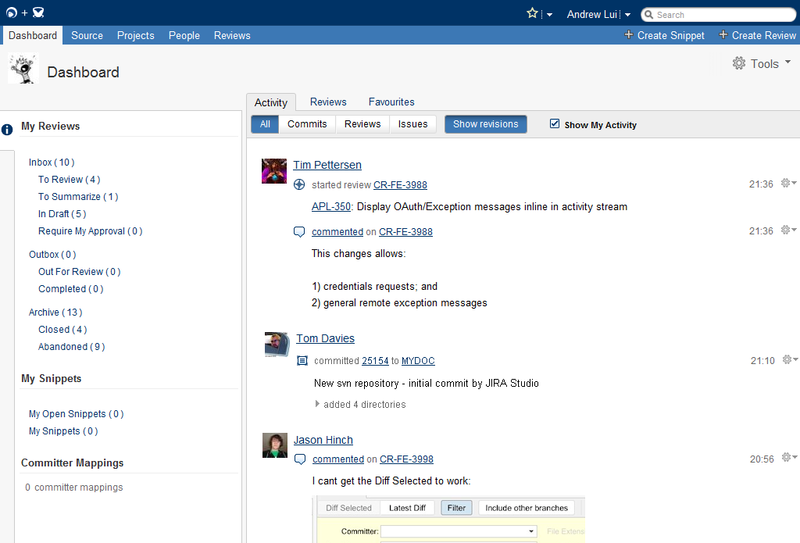 For example, if you linked your Crucible instance with a JIRA server, you could view JIRA issues in your Crucible activity stream or view the reviews associated with an issue/project in JIRA. repository administration via the Administration Console. Upgrading to FishEye is also a breeze, if you choose to migrate to a full FishEye license in the future. Crucible has joined the starter license party! Get started with code review on a full-featured perpetual license at a fraction of the cost. Best of all, all proceeds from our starter licenses go to charity. 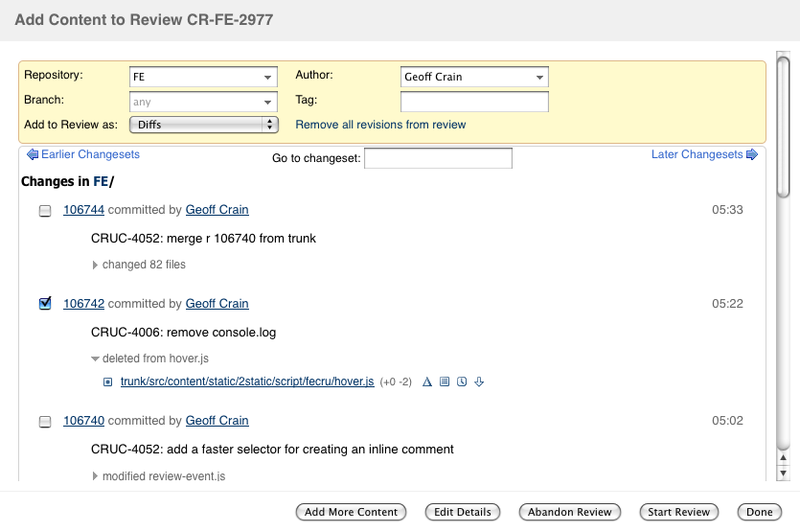 It's even easier to create reviews in this release, as we've simplified the process of adding changesets to reviews. You now only have to worry about which changeset to add to a review, rather than browse all the revisions. Revisions are added as iterations, by default. You can still remove revisions later, if you want. We're continuing our ongoing work to improve the Crucible user interface. This release includes a brand new Crucible inbox and a redesigned header. We've also improved the toolbars on a number of screens including the dashboard, as well as replaced dropdowns throughout the application with autocomplete controls. The popular snippet reviews introduced in Crucible 2.3 have been further improved in this release. We've added inline editing of snippet titles as well as syntax highlighting, for existing snippets. Upgrading from a previous version of Crucible. Upgrading Crucible should be fairly straightforward. We strongly recommend that you back up Crucible before upgrading. Please refer to the Crucible 2.4 Upgrade Guide for further essential information about your upgrade.